When Eimo Technologies, an injection molding, assembly, and tooling center partnered with us for an energy assessment and compressed air audit, the results were astonishing. Throughout our assessment, we discovered that undersized piping in this facility caused increased power consumption, increased oil carryover, and unstable air pressure throughout the plant. 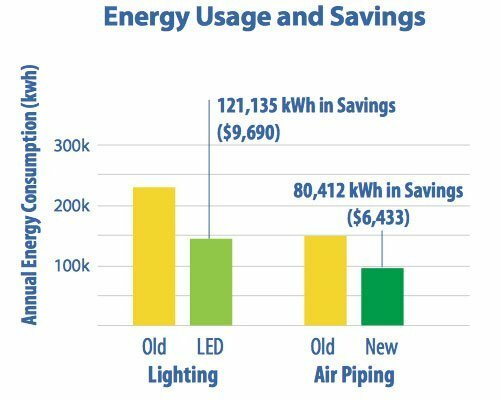 Increasing the pipe size alone saved an estimated 80,412 kWh accounting for an annual cost savings of $6,433. For the initial period logged, 3⁄4″ aluminum pipe ran from the discharge of each compressor before teeing into the plant header system (1 1⁄2″ black pipe). 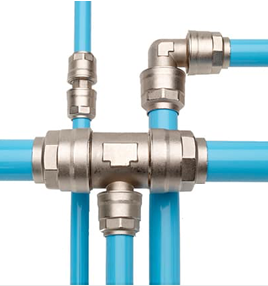 3⁄4″ pipe is rated for 36 CFM at 125 PSI, and the average 30 HP compressor produces 124 CFM. When a VSD (variable speed drive) air compressor encounters a restriction, the compressor ramps up to fight the restraint. The problem is that air compressor controls operate on pressure. When the compressor tries to increase flow to satisfy plant pressure, the restriction actually causes plant pressure to drop as more air is trying to push through an undersized pipe. In other words, the way the system was configured, the 30HP Sullair VSD was programed to perform a task made impossible by the restriction. The backup Sullair was observed running unloaded for extended periods of time. The backup did shut off at times; however, it also ran for entire days at a time unloaded. The most plausible explanation for this would be a broken idle timer. When an air compressor runs unloaded for extended periods there is a high probability oil carryover will occur. Now that the restriction is fixed, the 30HP VSD can run the plant and the oil carryover issue may be resolved by repairing the idle timer or turning off the backup compressor until it is needed. To learn more about how to increase your profitability, reduce energy costs, and how to qualify for incentives and rebates, contact us at 800.727.2470 or sign up for a FREE compressed air audit and energy assessment online. 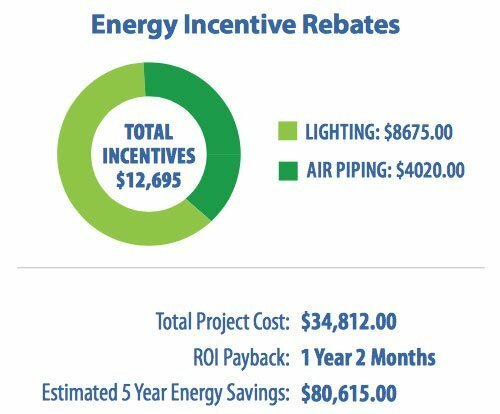 Our compressed air audit and energy assessment saved Sunset Tool over 250,000 kilowatt hours per year, and $32,800 annually. Plus, they received over $25,000 in rebates and incentives! 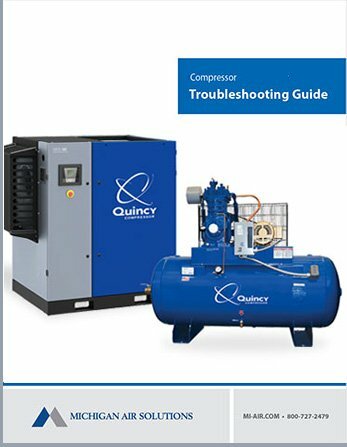 As the authorized Quincy compressor distributor in Michigan, our experts can help you design, troubleshoot and maintain your air systems for maximum productivity and longevity. We only recommend and sell the best air compressors, dryers, vacuum pumps and accessories.